I actually saw this. 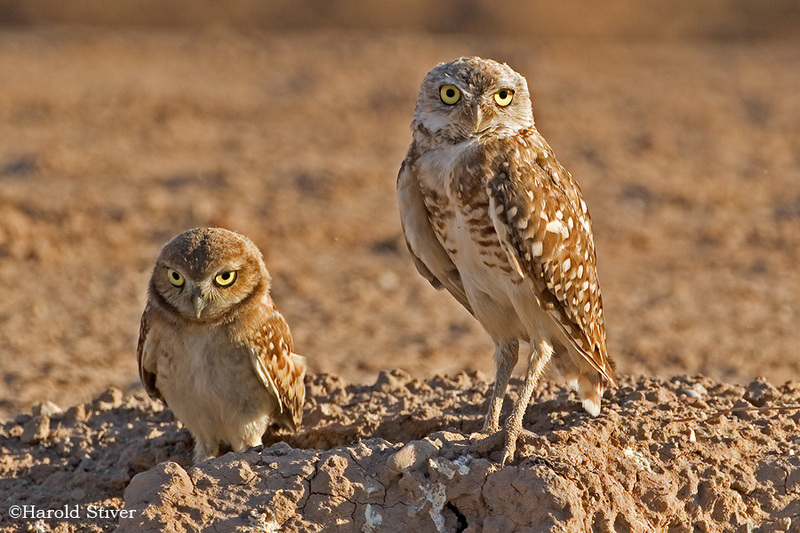 The burrowing owl is the most conspicious of the owls here in South Florida as they are known to be out during the day and can be seen standing atop their ground burrows. I have passed this field for years and noticed a small area surrounded by string and decorated only with an old dead log. It seemed a curious thing until I noticed recently that the number of cordoned off areas had grown. There are now seven of them so on Sunday I took a walk by the field to get a closer look and confirmed what I suspected. 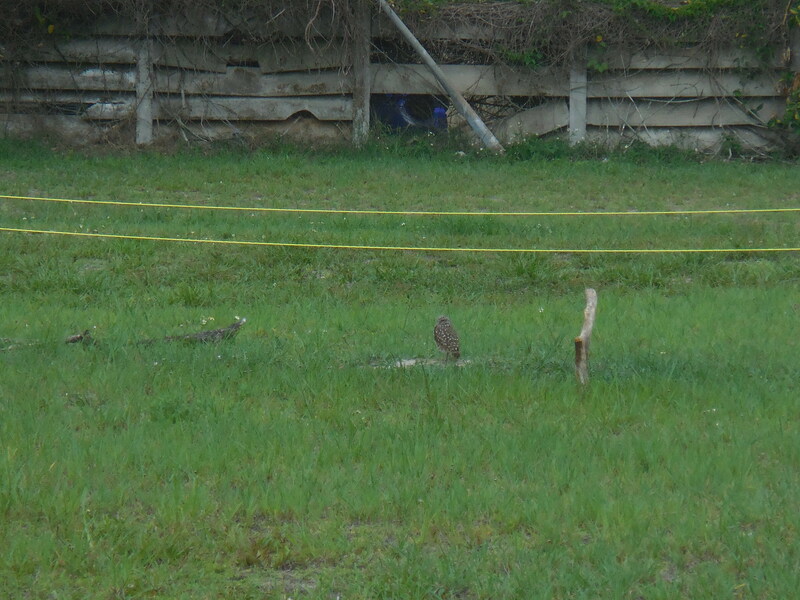 The field has turned into a burrowing owl colony with seven individual mounds/burrows. 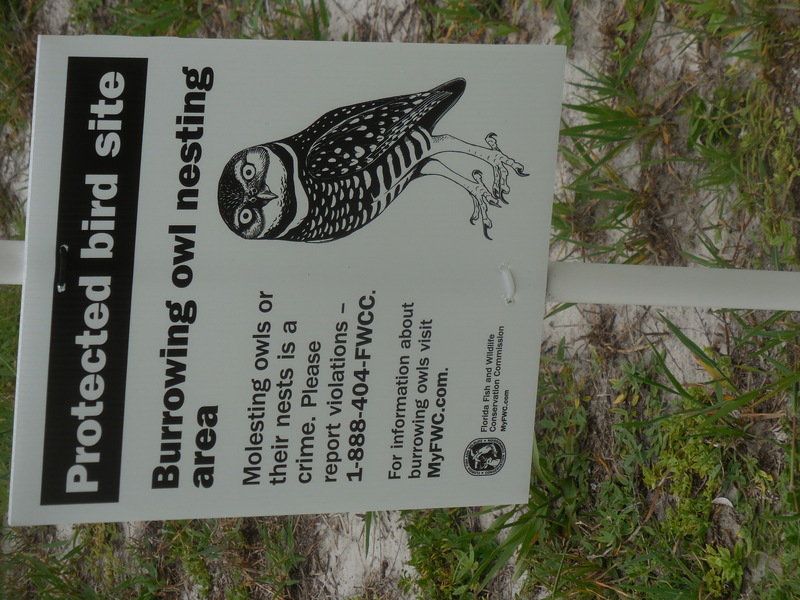 There were adults sitting on top of two of them but since the area was posted off-limits my photo was from quite a distance so I included a picture of the owl from the internet along with my shot. It's so cool they cordonned off that field. 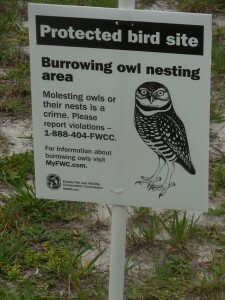 The church folks have obviously taken to the owls and provided for them. It is very touching. They are tiny as owls go but very visible.